The logo is designed to be discreet, simple and easily sketched by hand. The shape replicates that of a coiled skein of hemp fiber, seen on the right. It refers both to the ancient roots and the intertwined nature of human experience and the cannabis plant. The hand symbol for Cantheism is right hand cupped around the left, with two fingers extended in the inner hand, symbolizing the male and the female plants. The overall hand gesture signifying the female calyx which holds the trichome glands. Egyptian hieroglyphic for cannabis hemp, used as a symbol for Cantheistim. Astronomy: The three stars of Orion’s belt represent the three aspects of cannabis: Commerce, medicine, and spirit. Sirius, the brightest star in the nearby constellation Canis Major (Big Dog), visible in the Northern sky during winter, is identified with cannabis. Alchemistry: Cannabis pulp and fiber can be fabricated and transformed into almost anything, including every product made from fossil fuels, timber and cotton. The story of Rumplestiltskin relates to a person who could spin gold from straw. Likewise, great wealth can be derived from the cannabis plant. The active flowers and leaves can be converted into a wide assortment of inhalables and comestibles, ranging from flowers to hash resin to honey oil to water hash to kief to food items to beverages to tinctures to salves to liniments, etc., etc. The immortal Ptah breathes power and strength into a 12th Dynasty pharaoh while standing beneath the Cantheist logo. During ceremonial smoking circles, each person in the group must say Cannamaste to the people next to them, take and hold the burning spliff, inhale a deep breath and pass it on to continue the circle. Given that some people prefer to ingest their sacrament as vaporized herb or oils, edibles or tinctures, inhaling the smoke is encouraged but not required. People in the circle should each receive the spliff with the Cannamaste salute, hold (possess) the spliff while inhaling and exhaling, then pass it along to the next congregant in the circle. During a Cantheist wedding, it is common for the couple to share the “breath of smoke” during the ceremony. 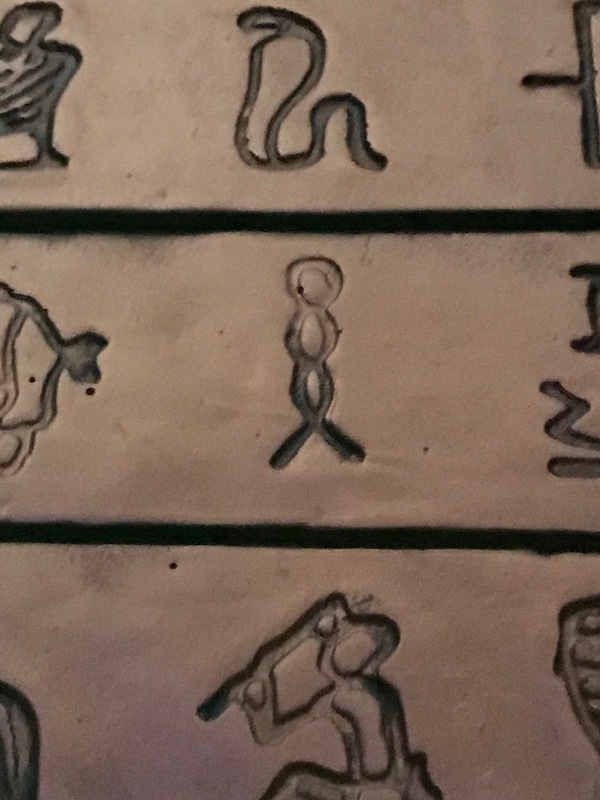 The Cantheist Symbol can be seen in numerous real and imitation heiroglyphics, like this image from a Las Vegas casino. An ancient allusion to this practice is seen in the detail above, taken from a relief on the Pillar of Sesotris I, 12th Dynasty (c. 1971-28 BC). The immortal Ptah breathes on the Egyptian pharaoh, investing him with renewed power and strength. Note the Cantheist icon situated above the Ankh in the upper left corner. A modern depiction is seen in this decoration, left, from a relief in a Las Vegas casino.